A slow growing benign brain tumour (non-cancerous). First symptoms are usually hearing loss or tinnitus, and, more rarely, balance problems. The library at the Brain Charity has a range of resources on Acoustic Neuroma and on a wide range of disability related issues. Visit our library to read our copy of the booklet "Effects An Acoustic Neuroma May Have On Your Memory, Emotions, Behaviour, Executive Functioning and Energy Conservation", published by the British Acoustic Neuroma Association. "[Migraine aura may] be accompanied by apparent flashing lights, by geometric shapes, or by unusual forms. Some migraineurs may experience unusual perceptions or hallucinations and a very rare form of aura known as "Alice in Wonderland" syndrome. This syndrome is identified by the perceptions of the sufferer; their body or other peoples’ bodies look distorted, so that things appear larger or smaller than usual, or further or closer away (“macropsia / micropsia”)." The library at the Brain Charity has a range of resources on Alice in Wonderland Syndrome (AIWS) and on a wide range of disability related issues. Visit our library to read our copy of the Brain and Spine Foundation's booklet on Migraine, which includes information on Migraine Aura. Dementia is a term used to describe various different brain disorders, that have in common a loss of brain function that is usually progressive and eventually severe. The most common type of dementia is Alzheimer's Disease. Symptoms of dementia include loss of memory, confusion and problems with speech. News and events Are you interested in helping “memory and ageing” research? You may be eligible to participate in a study at Liverpool John Moores University exploring how individual memory strategies predict future cognitive decline. The library at The Brain Charity has a range of resources on Alzheimer's and on a wide range of disability related issues. 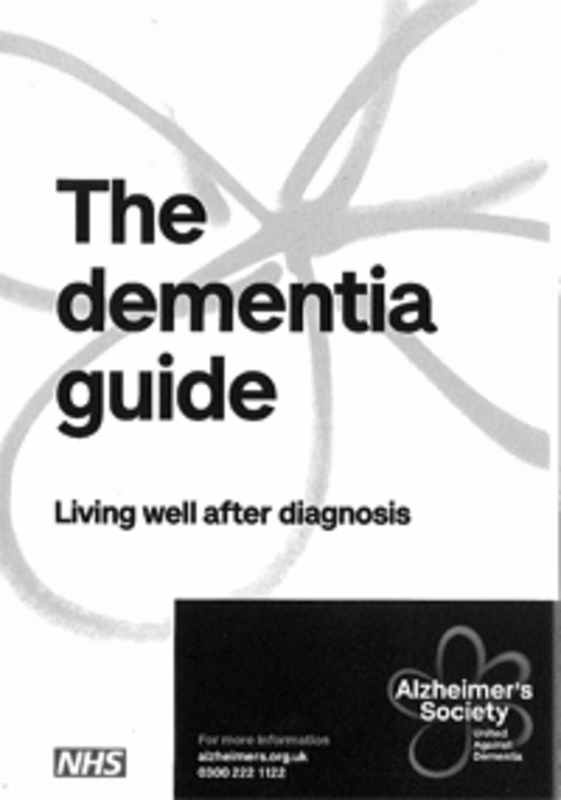 Visit our library to read our copy of the Alzheimer's Society's book The Dementia Guide: Living well after diagnosis. A brain aneurysm is a balloon-like swelling resulting from a weakness in the wall of one of the blood vessels supplying blood to the brain. Types If the aneurysm bursts/ruptures that results in a bleed - brain haemorrhage. The library at The Brain Charity has a range of resources on Aneurysm and on a wide-range of disability related issues. 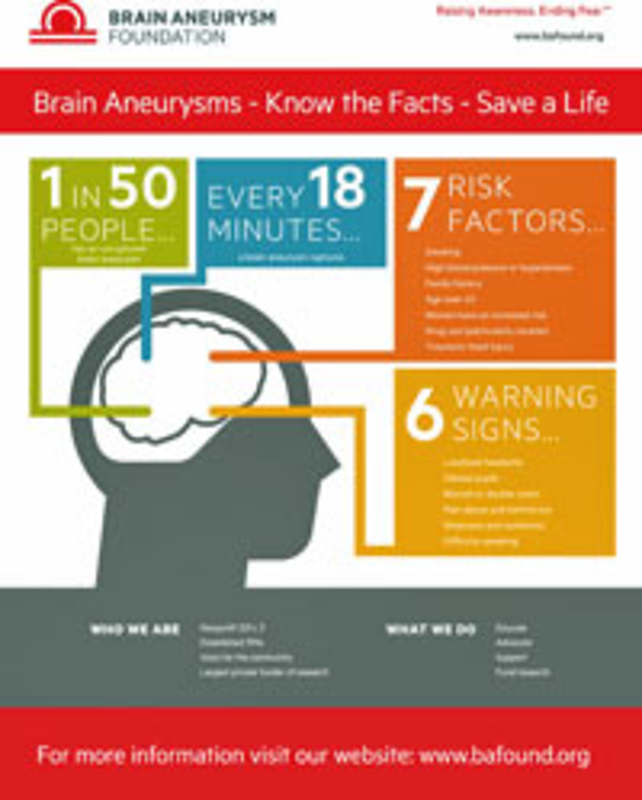 Visit our library to read our copy of the Brain Aneurysm Foundation's booklet 'Brain Aneurysms - Know the facts - Save a life'. "This is a rare condition [ ... ] children have epilepsy, learning difficulties, severe speech delay, jerky movements, tongue-thrusting, a characteristic facial appearance and a happy mood with sudden bursts of laughter. The condition is caused by a genetic factor ... "
The library at The Brain Charity has a range of resources on Angelman Syndrome and on a wide range of disability related issues. "AS is an inflammatory form of back pain that can also affect other parts of the body, including joints, tendons and eyes, and occurs most frequently in young men." The library at The Brain Charity has a range of resources on Ankylosing Spondylitis and on a wide range of disability related issues. Visit our library to read our copy of the Pain Relief Foundation's booklet on Arthritis, which includes information about Ankylosing Spondylitis. APS is sometimes called 'sticky blood syndrome'. This is because people with it have an increased tendency to form clots in blood vessels (also known as thromboses). Any blood vessel can be affected including the veins and the arteries. The library at the Brain Charity has a range of resources on Antiphospholipid Syndrome and on a wide range of disability related issues. Aphasia is an acquired disorder of language, usually caused by stroke, head injury or other neurological condition. People with aphasia find it difficult to understand, speak, read or write language; yet their intellect remains intact. The library at The Brain Charity has a range of resources on Aphasia and on a wide range of disability related issues. 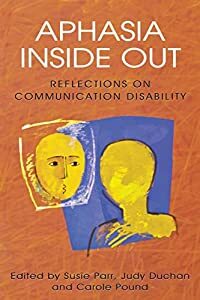 Visit our library to read Aphasia Inside Out: Reflections on communication disability by Susie Parr, Judy Duchan and Carole Pound. Arachnoiditis describes inflammation which occurs inside the spine, around the spinal cord and spinal nerve roots. Can develop after back injury, spinal surgery, infections such as meningitis, and sometimes after injections into the spine. Pain comes from nerve roots and generally impacts the lower parts of the body, but can affect the spine in the head, neck and upper back. Damaged nerve roots can cause muscle spasms and jerks, and weakness of muscles. The library at The Brain Charity has a range of resources on Arachnoiditis and on a wide range of disability related issues. 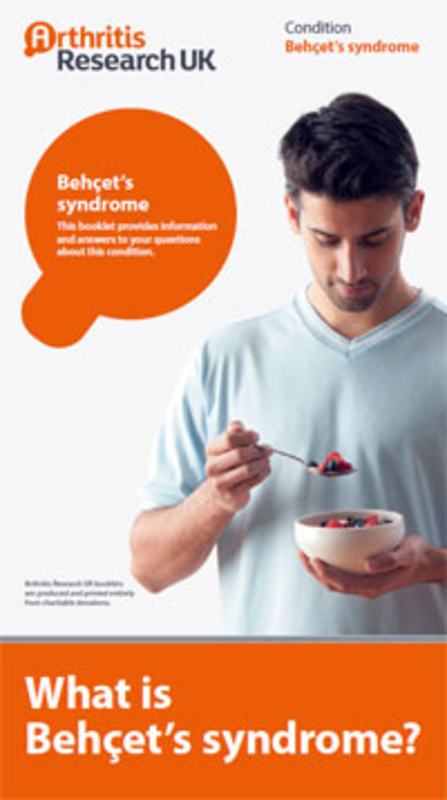 This includes a copy of the Arachnoid Trust's booklet What is Arachnoiditis? by Lina Talbot. Arthritis is a condition involving inflammation of the joints, which may then become very painful. Note that Arthritis is not a neurological condition; however, there are several conditions that come under both Arthritis and Neurological Conditions as an 'umbrella' term. There are over 200 different types of arthritis. The most common is Osteoarthritis, which usually develops gradually over a few years. Rheumatoid Arthritis is a condition which causes the joints in your body to become inflamed. It can be persistent or occur in flare-ups. Free helpline 0800 5200 520, Monday-Friday, 9.00a.m.-8.00p.m. The library at The Brain Charity has a range of resources on Arthritis and on a wide-range of disability related issues. This includes copies of booklets by Arthritis Research UK. Asperger's Syndrome is a form of autism, a condition which affects the way a person communicates and relates to others. People with Asperger's Syndrome have difficulty in communicating and with social relationships, and exhibit a lack of imagination and creative play. They have fewer problems with language compared with those with autism, and do not usually have the accompanying learning difficulties associated with autism. The library at The Brain Charity has a range of resources on Asperger's Syndrome and on a wide range of disability related issues. 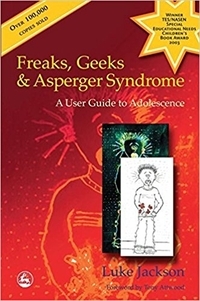 Visit our library to read Freaks, Geeks & Asperger Syndrome: A user guide to adolescence by Luke Jackson. Or have a look in your local library for this book. People with Ataxia have problems with co-ordination and balance. Cerebellar Ataxias are a group of rare neurological disorders, many of which are inherited. There is large variation in the severity of the different types, and the rate of progression varies between individuals. Cerebellar Ataxias - often designated by numbers, see the information on the Ataxia website below. Friedreich's Ataxia (FA/FRDA) - an inherited, progressive condition, which affects the nervous system. Ataxia-Telangiectasia - A-T is a rare, degenerative, inherited disease which affects many parts of the body and causes severe disability. The library at The Brain Charity has a range of resources on Ataxia and on a wide-range of disability related issues. 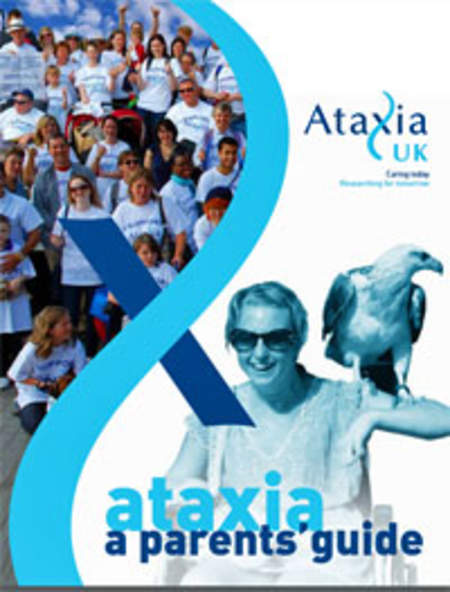 You can read our copies of Ataxia UK booklets, including "Ataxia: a Parent's Guide". ADD is a common condition, affecting more boys than girls. It is an impairment of either activity or attention control (or both), and impacts on concentration, impulse control, hyperactivity, motivation and time awareness. The library at The Brain Charity has a range of resources on Attention Deficit Disorder (ADD) and on a wide range of disability related issues. 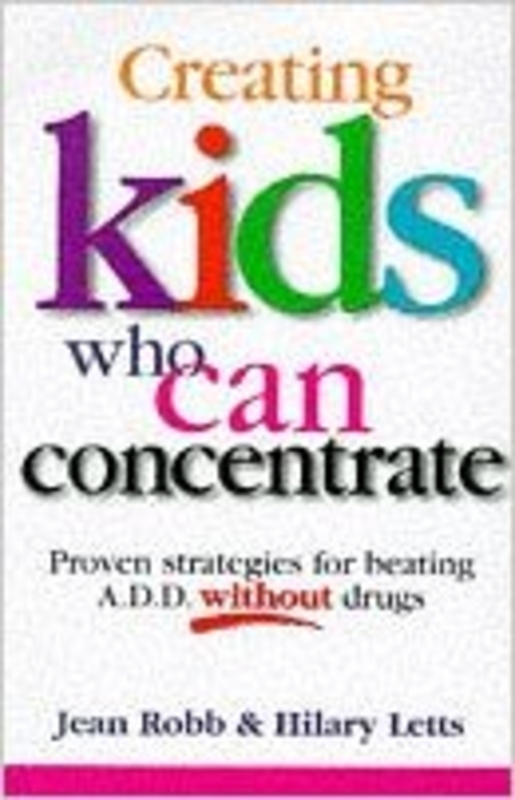 Visit our library to read Creating Kids Who Can Concentrate: Proven strategies for beating A.D.D. without drugs by Jean Robb and Hilary Letts. Or have a look in your local library for this book. Symptoms of ADHD A common condition, affecting more boys than girls. It is an impairment of either activity or attention control (or both), and impacts on concentration, impulse control, hyperactivity, motivation and time awareness. The library at The Brain Charity has a range of resources on ADHD and on a wide range of disability related issues. 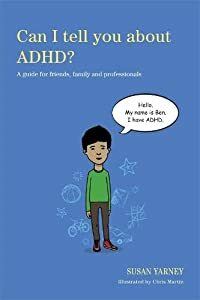 Visit our library to read Can I tell you about ADHD? A guide for families, friends and professionals by S. Yarney and C. Martin. Or have a look in your local library for this book. Autism is a lifelong developmental disability, which affects the way a person communicates and relates to people around them. People with autism have difficulties with everyday social interaction, with social communication (including not understanding facial expressions and tone of voice), and with imagination. This triad of impairments can occur by itself, but is often accompanied by other developmental disorders and learning disabilities. The library at The Brain Charity has a range of resources on Autism and on a wide-range of disability related issues. 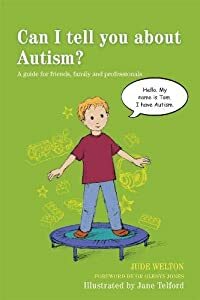 Visit our library to read Can I tell you about autism? A guide for friends, family and professionals by J. Welton and J. Telford. Or have a look in your local library for this book.